Experience Dressage in its true meaning: training ANY horse to become the supple athlete with muscles strong enough to perform all movements. Beginning lessons with Rianne is the best thing I have done for myself and my horses since moving to Ocala! 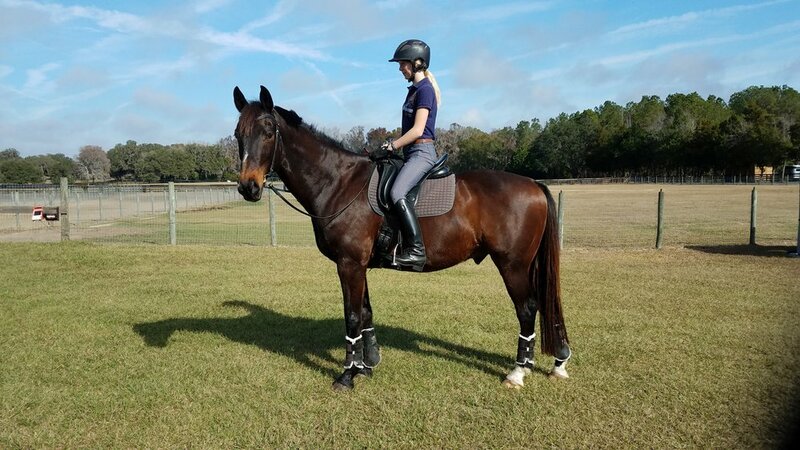 My goal is to ride my horses in a way that benefits them physically and mentally, and I wanted to gain a knowledge base of dressage in its truest form. Keep in mind I barely know the basics, and need a map to find letters in an arena! Rianne is truly excited to share her extensive knowledge, and she does it in a low pressure, easy to understand format. Any horse and rider will benefit from her instruction. 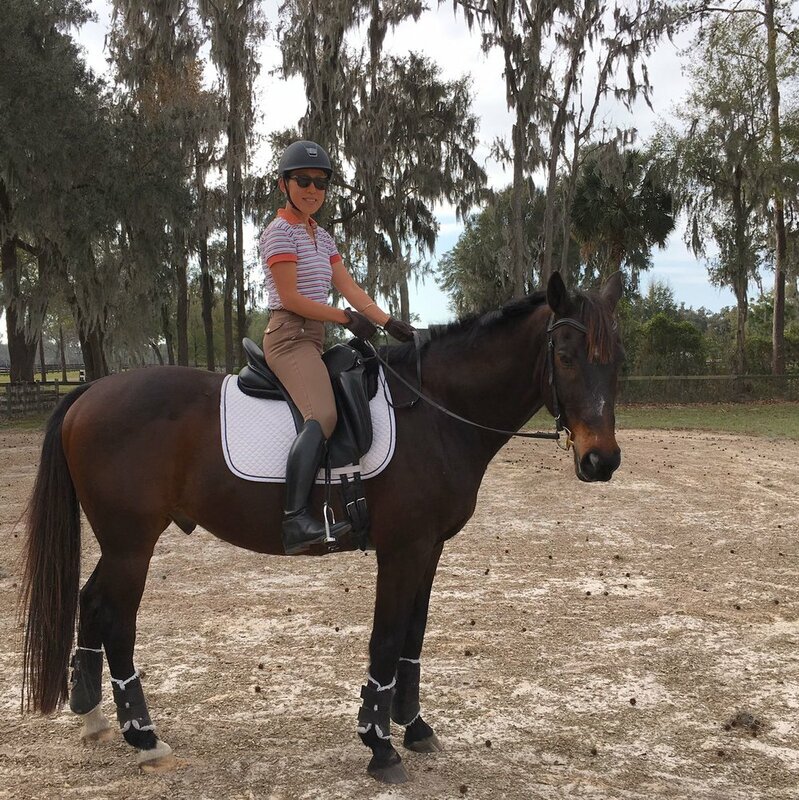 I love that she is dedicated to her clients of all breeds and backgrounds, whether their ultimate goal is in the competitive arena or a balanced, enjoyable ride on their favorite steed in the backyard! I base my training and teaching on the well studied and proven methodology of real classical training of the horse. True classical dressage is applicable to EVERY horse, not just the fancy European Warmbloods, but other breeds as well. From Draft cross to Quarter horse, Thoroughbred to Iberian, horses of any breed and any discipline will reap the benefits of classical dressage. I am thrilled to count the riders of these various horse breeds among my students. - achieving the pinnacle of dressage: collection instead of contraction! The only picture I have of Mr. Spekschate, in his usual position giving instruction. It was a time when taking pictures was not as easy as it is now! Santiago is more and more willing to have a conversation with me every time we ride. He’s getting more responsive every time we ride too. He’s Softer and lighter and responds to my seat bones far better than he ever has. He’s definitely chewing on the bit more and yes, his spit has even changed. He seems a lot more relaxed and confident too. What’s next? Whatever Rianne suggests. What are my thoughts about her teaching? I LOVE her positive approach. I believe her systematic method makes the lesson much easier to grasp and apply. I really appreciated the “theory” or explanation of concepts/principals the evening before the riding lesson too. It helped prepare me for the riding lesson the next day. During the riding lesson she easily and positively communicated and explained her feedback. This is a skill set that few riding instructors possess, and it makes her excellent! I learned more in one lesson than I have in the past 5 years of taking lessons. “Red” and I thoroughly enjoyed our first classic dressage clinic with Rianne Ruizendaal at Dawn Winans’ ranch in Scottsdale this weekend. I learned that basic dressage training isn’t just for horse & rider teams competing at high level events. It’s for all horses & riders in any discipline. Red (my 14.2H, 10-year old quarter horse) was trained as a Reiner. He had a low head set, carrying most of his weight on his front-end. When I purchased him as a 4-year old, I repurposed him to a life of competitive trail and pleasure riding with little contact on his mouth. In two 45-minute sessions with Rianne, applying her balancing, suppling, and light contact techniques, Red became balanced by lifting his head to a natural level, while shifting weight from his front-end to his back-end, creating an instant free-flowing motion. Thank you, Rianne, for giving me a happier horse, and increasing his longevity by balancing his weight on all four feet! 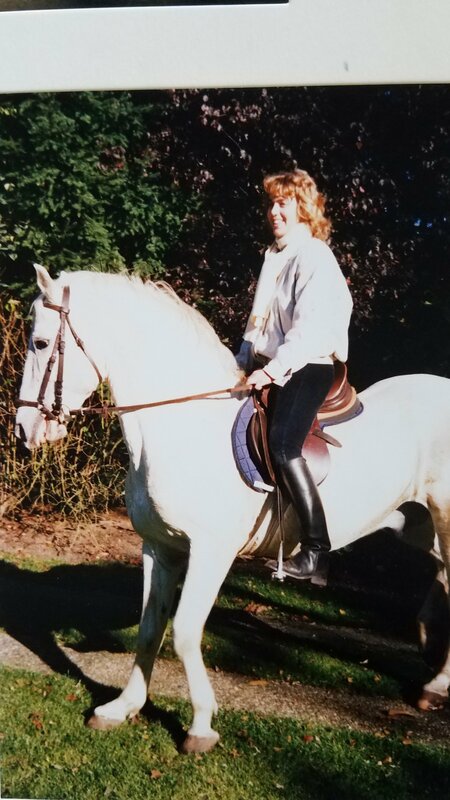 Before and during my academic education in Law in Europe, I trained horses at various Breeding Farms, including a Lippizaner stud farm. I have enjoyed the honor to teach students from Europe, Canada, the US and Asia. Over the years I continued the quest for more knowledge and rode under the coaching of three direct long term pupils of Nuno Oliveira, i.e. Danny Lahaye, Dennis Stickley and Peter van Borst. I rode with Jose Mendez during his tour through the United States and also had the opportunity to train at the academy of Dutch Olympians Imke Schellekens and Tineke Bartels. It became clear to me that my focus should stay concentrated on Dressage as the original Masters had studied and developed. My quest for knowledge intensified even more and after the initial introduction to some of the methods of Philippe Karl during my lessons, I started to study more in depth about his systematic approach to training horses. The result is that I have been heavily influenced by both the methods of Nuno Oliveira and Philippe Karl in my training and teaching. One thing that is the undisputed truth in dressage (and in our overall life for that matter), is that one can never stop learning. I have been at this for quite some time and there are new revelations coming to me from study and practice on a regular basis. It is a shame however, that the correct principles of Classical Dressage don’t seem to be broadcasted as loudly as the victories of today’s modern dressage. 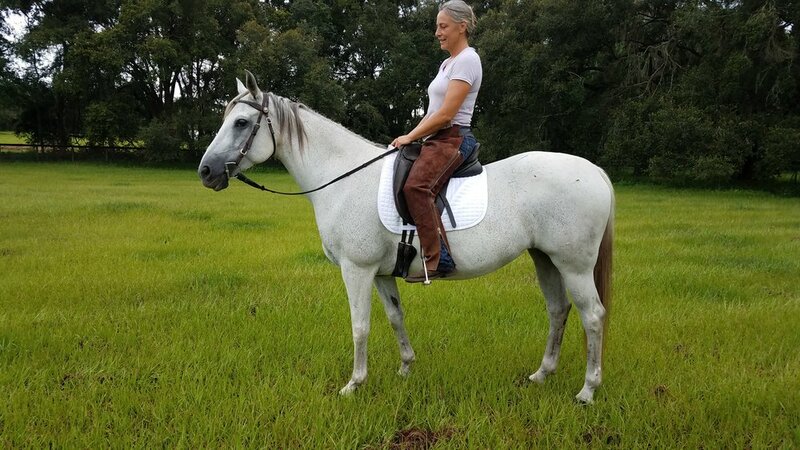 The names of the people who have been lifelong students and practitioners of the correct, true to the horse, principles are quite often completely unfamiliar and unknown to those seeking to learn dressage. Quite the irony. However, I remain hopeful that things will change for the better, as I have seen a slight shift in interest towards Classical Dressage over the past years. I hope you will join me on this journey. 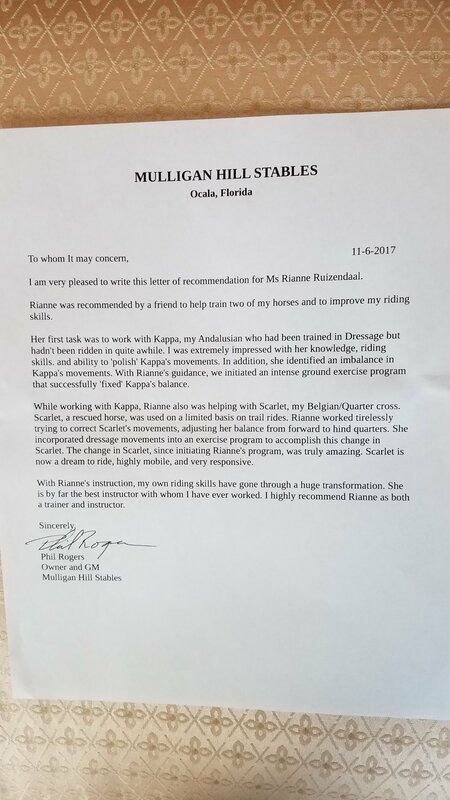 This recommendation for Rianne Ruizendaal is offered regarding my 15 year old Oldenburg gelding. Affectionally known as Harry, the gelding had been medically neglected and very badly treated before I acquired him. He was in severe pain and had become vicious in his behavior. When I picked him up to transport him home, the handlers literally beat him into my trailer while he was rearing and striking and lunging at them. For a year I treated his physical issues, but had slight effect on his mental attitude. I could not enter his pasture without being attacked and he was very difficult to handle. Rianne came to my facility and began ground working with Harry. He quickly accepted her and developed an actual affection for her. In very little time he became easy to handle and eager to work. She totally solved the problem of resistance to mounting in a very short time period. Not only did she change this wonderful gelding into a happy, calm boy...she was instrumental in supporting the relationship between Harry and me. Harry is now affectionate and a pleasure to work and handle. I have the utmost respect for her knowledge and rapport with horses. Lipizzaner breeding stallion Tullipan. I later trained and competed his son as well. I realize that building a productive relationship can only take place when both parties are enjoying "the ride". Lessons are low pressure, but effective, and spiked with humor. This learning opportunity is supposed to be fun for all involved. A student can participate with their own horse or can get a lesson on a horse matched with their skill level. Student Phil (retired Airforce pilot), who was a complete novice dressage rider, wrote this letter. I was amazed at his understanding of the dressage principles emanating from his wording! Student from Japan with Dutch Warmblood “Bubba”, our schoolmaster! With advance notice I am able to plan clinics in other States. Due to travel costs, a minimum of three clinic days is usually planned. 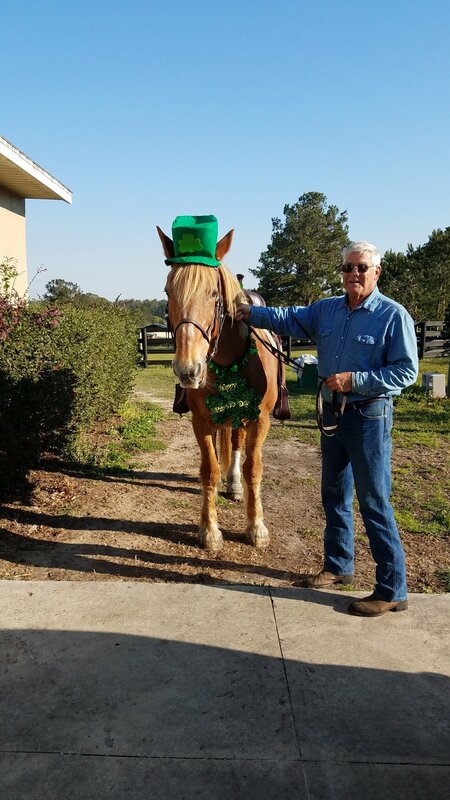 Retired Air Force and Commercial Airline pilot, now dressage student, Phil with his sweet mare, a Belgian draft/ Quarter horse cross. For local students wanting to achieve a more intensive lesson pattern while reducing the individual cost, joining up with other students for a group lesson may be a solution. riders can truly enjoy the experience! Contact me for more information for any of the above options.